Did you know that 80% of the most biodiverse areas on Earth are home to indigenous and tribal peoples? Long before the word “conservation” was coined, tribal peoples developed highly effective measures for maintaining the richness of their environment. They have sophisticated codes of conservation to stop overhunting and preserve biodiversity. Yet it’s often wrongly claimed their lands are wildernesses even though tribal communities have been dependent on, and managed them for millennia. Even the world’s most famous “wildernesses” – including Yellowstone, the Amazon and the Serengeti – are the ancestral homelands of millions of tribespeople, who nurtured and protected their environments for many generations. Tribal peoples are being illegally evicted from these lands in the name of “conservation.” Now they’re accused of “poaching” because they hunt their food. And they face arrest and beatings, torture and death, while fee-paying big game hunters are encouraged. Their lives and lands are being destroyed by the conservation industry, tourism and big business. In Cameroon, Baka tribesmen who dare to enter the forest they have been excluded from are terrorized by anti-poaching squads funded by WWF. In India, tribal villages are expelled from tiger reserves at the same time as the forest department encourages rocketing tourism. The big conservation organizations are complicit. They fund militarized conservation which leads to the persecution of innocent hunter-gatherers, they partner with the big businesses that steal tribal lands, and they drive the projects that result in illegal evictions. Survival is fighting these abuses. We know tribal peoples are better at looking after their environment than anyone else. It’s time for a new type of conservation, one that puts tribal peoples’ rights at its heart, and that recognizes they are the best conservationists and guardians of the natural world. This would be the most significant leap forward for genuine environmental protection in history. For tribes, for nature, and for all humanity’s future. For tribes. For nature. For all our humanity. Conservation must accept the growing proof that tribal peoples are better at looking after their environment than anyone else. The huge sums spent on conservation must be given to the cheapest solution – upholding tribal peoples’ land rights. 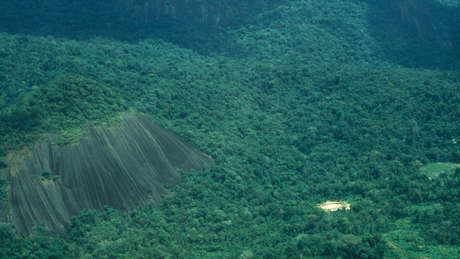 The Yanomami manage and care for one of the largest areas of protected rainforest in the world. Gillian Anderson, Mark Rylance and Dominic West are just some of the faces who’ve joined the campaign to change conservation for the better. Baka “Pygmy” tribespeople face arrest and beatings, torture and death at the hands of park guards who accuse them of “poaching” because they hunt to feed their families. The guards are funded by WWF, which also plays a key role in the theft of Baka lands. The lives of tribal peoples across India are being destroyed by tiger conservation. Communities which have coexisted with tigers for generations are threatened and bullied into giving up their land. This is illegal, and thousands of families are being left in abject squalor. The Baiga, who have been evicted in the name of tiger conservation, don’t hunt tigers, but consider them their “little brother”. 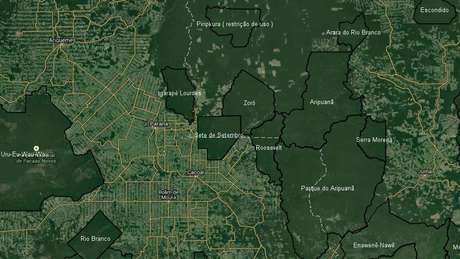 Some have set up their own conservation projects, setting out rules for their own community and outsiders to protect their forest and its biodiversity. The Bushmen know best how to protect their environment and the animals that live in it. As one Bushmen said, “If you go to my area, you’ll find animals, which shows that I know how to take care of them. In other areas, there are no animals”. Questions about the campaign? Our FAQ tells you all you need to know about Survival’s work to change conservation. When Conservationists Militarize, Who’s the Real Poacher?